If is likely that you’ve heard of the Limousin as quite the place to head to if you are looking for a bargain home. Located in the hilly southwest of France, on the Massif Central, with around one third of the region covered in forests, several important rivers such as the Dordogne, Vienne, Creuse and Cher, over 3,000 lakes and steeped in history, the Limousin is a country-lover’s paradise. It also boasts several of the ‘Plus Beaux Villages de France’. The area known as the Limousin is both the designation of a cultural and historical area, and a former administrative region of France. Since January 2016, it is part of the new region Aquitaine-Limousin-Poitou-Charentes. It is composed of three departments: Corrèze (19), Creuse (23) and Haute-Vienne (87). It is one of the least populated regions of France. Main cities and towns include Brive, the largest in the Correze, with delightful galleries, cafés and musée, with pedestrianised streets that meander through the old part of the town. Gueret, the capital of Creuse with the surrounding farmland that borders the very edge of the city, offers a wealth of culture with a focus on fine art, sculpture, painting and delightful botanical gardens. Tulle, renown for its lace, is the capital of the Corrèze and has a charming old quarter with an impressive 12th-century cathedral. There are many remarkable tiny villages that hold historic interest and positively ooze peace and tranquillity. You can find the traceable pilgrim road of Santiago de Compostela. Pilgrims and templars alike sought food and shelter from the many abbeys and monasteries that lined the route. The Limousin offers wonderful pastoral landscapes and wins visitors over with its simplicity and charm. A few of the key ‘exports’ from the Limousin include its world famous beef, the Aubusson tapestries woven from the wool of the sheep grazing in pastures of the Creuse, and the beautiful porcelain and enamels of Limoges. The Limousin is a large region and, with its three departments each covering an area of over 5000 square kilometres and varying lush landscapes, there is something on offer for everyone. The Creuse is the cheapest department and to the north you will find the bustling medieval town of La Souterraine, with its rich heritage and excellent rail links to Paris, Limoges, Toulouse, Lyon and Bordeaux. Further south is the lovely town of Bourganeuf, founded by Knights Templars in the Middle Ages and situated at the entrance of the Parc Naturel Régional de Millevaches. Bargain pricing can still be found for townhouses and village houses in these areas. This is a beautiful conservation area with woodland, lakes and rivers covering the south east of the region. Popular towns here include Treignac, Peyrat-le-Château and Royere-de-Vassiviere. This is also a good area for gite businesses with proximity to the picturesque Lac de Vassiviere and outdoor activities for holidaymakers. 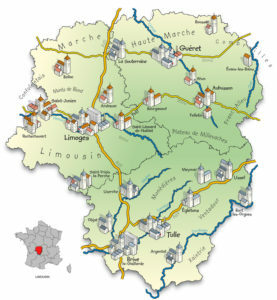 The department of the Haute-Vienne lies to the west of the region and is divided by the River Vienne which runs through Limoges, the largest city of the region. The highest altitude is found to the south east moving towards the Massif Central mountain range. The Parc Naturel Régional Périgord Limousin spans the south east Haute-Vienne and north Dordogne and offers good value for buyers looking for property with land or equestrian property. Pricing increases as you head further south to the Correze department and pricing around Brive-la-Gaillarde and Beaulieu-sur-Dordogne can be expensive. It is often said that the weather in Limousin is wet, that it rains constantly and the sun is a rare sight, however, those who are lucky enough to live there know that this is definitely not the case. Each department of Limousin experiences different weather and it is possible to bet sat enjoying a glass of wine in the garden and then a phone call comes from a neighbour not too far away who is in the middle of a heavy hail storm. The weather in Limousin is influenced by several things: it is mostly oceanic, with a bit of continental and also mountain effects! In Brive the minimum temperature in January was 1° and the maximum 8° Same in December and in April it goes from 5° to 16°, but that tells you precious little about the rest of the department. Haute Corrèze, being sometimes over 800 m can be much much colder! Brive is the warmest big town in Corrèze. Ussel, for example had temperatures in Jan from -3 to 6. But I have known winters in Corrèze when the thermometer showed 25.° below freezing . . rare, I admit. Climate is more influenced by the altitude than the latitude here. Winters can be thus very cold and sometimes very dry and sunny, but expect quite a lot of snow on the mountains, whether in Corrèze, Creuse or Haute Vienne. In summer we can see temperatures of 40 degrees celcius, but in winter it would not be a surprise to see temperatures of -14. The main airport in Limousin is located just outside Limoges. Note that there are no buses or shuttles between the airport and the city centre, only car hire and taxis are available. The other popular air access is point is Brive-Dordogne Valley airport near Brive. The Limousin offers great value for money and allows buyers to stretch their budget further as the average price of properties and the cost of living are lower than in neighbouring regions. 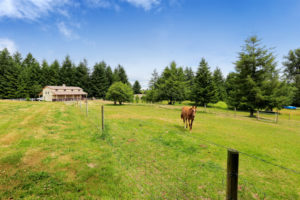 It is a predominantly agricultural area, so there are many barns or empty properties available for conversion projects. The secret is out, however, and as communications and access improve, the area has gradually become desirable both as a permanent home and as an ideal holiday retreat. Property prices reflect this increasing popularity, particularly in areas around the main hubs of Limoges and Brives. There is something for every budget in this vast region and great bargains to be found. 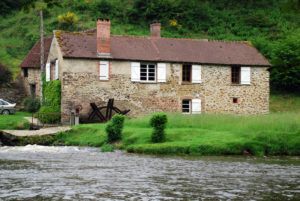 Although tourism plays a significant part in the make up of France and this area is no exception, the key areas for visitors are somewhat further apart than in other regions so it is wise to consider the location very carefully if thinking about setting up a tourist-based business or offering gîte or chambres d’hôtes accomodation. 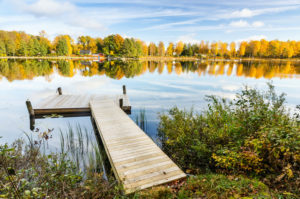 The area offers a lot for buyers with interest in outdoor activities especially fishing, with the numerous lake systems, and it is still possible to find property with fishing lakes either for private use or for commercial fishing. It is important to do your research in terms of the type of fishing license you may need for your project and current regulations. Expect to pay anywhere between €200,000 – €500,000 for properties with lakes and stocked fishing lakes, some with established rental businesses. Leisure lakes with recreational land for private use can start from as little as €20,000. 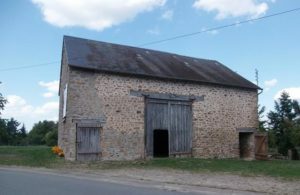 The region is one of the cheapest regions in France and therefore a good starting point for buyers looking for renovation projects and barns to convert. Barns in need of complete renovation can start from as little as €20,000-€30,000. Village houses in need of complete renovation can be found from upwards of €25,000 and habitable village and townhouses from €50,000 upwards. 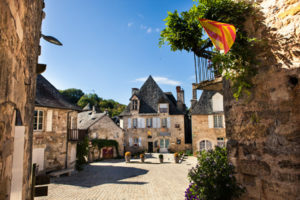 The Limousin, with its array of outdoor activities, two national parks and scenic countryside is a popular destination for holidaymakers and there are still deals to be had on gîte businesses for buyers with varied budgets. Whether you are looking for a property to use as a main source of income or to top up a pension, pricing can start from as little as €150,000-€200,000 onward. Typically properties in this range will have one gîte ready to use and may have scope to expand the business further. Watermills are sought-after for their character and picturesque locations and, as such, they are getting rarer to find. Properties will vary in terms of condition and size and may still have their working mill race and machinery intact. Some properties will even offer potential to generate electricity, appealing to those buyers who are looking for a self sufficient lifestyle in France. Watermills requiring renovation can start from €200,000-€250,000 and converted watermills from upwards of €300,000. For buyers with varied or limited budgets who are looking for properties with land for privacy or for equestrian and animal activities, the Limousin is the perfect region. For properties with a minimum of 1 hectare of land expect prices to start from €100,000-€150,000 upwards depending on condition. Farmhouses to renovate,or fermettes, can start from as little as €80,000 upwards. Established equestrian properties with equine facilities, such as a manège, paddocks and stables, start from as little as €250,000-€300,000 upwards. Some will even offer direct access to riding trails and hacking from the property. I have decided to concentrate my search in the Limousin however I have heard that the region gets a lot of rain. Is this true or will I still be able to enjoy warmer weather than in the UK? The climate in the Limousin can be pleasant throughout the year but it is not as reliable as the neighbouring areas of the Dordogne or Charente. Summers are typically warm and in contrast it is not uncommon to experience snow in winter although winters can be short. One of the charms of the Limousin is its verdant countryside but of course this lush greenery comes from having sufficient rainfall! However weather can be quite changeable over a short period of time so blue skies will never be far away. (see our climate data above). I have exhausted my search for a smallholding in the UK due to my budget. Can I afford to buy a property with land in the Limousin with a budget of €150,000? In a word, yes! This region is perfect for rural activities, good grazing land and affordable properties with outbuildings. If you are looking for a smallholding for a self sufficient lifestyle on a budget than the Limousin should be the first region for your search. Farmhouses in need of some renovation work with acres can easily be found for under €100,000 and pricing will vary in terms of condition and size of land. 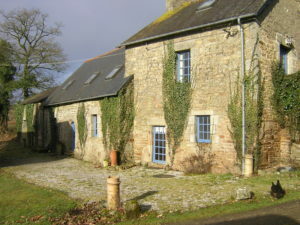 I am relocating to the Limousin and wonder what the access is like for friends and family to visit? 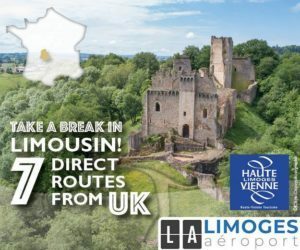 The Limousin is well served by the regional airport of Limoges which offers several low cost airline routes from the UK. The A20 motorway crosses the region from north to south and links Paris – Orleans – Toulouse. The A89 also crosses the region and links to Brive la Gaillarde airport. If you are driving from the UK, the route from Calais to Limoges takes approximately 6 hours as a manageable day trip. There are also train links from Paris to Limoges and Brive la Gaillarde with connecting services to other towns. If you’ve got your heart set on a French property in the lovely Limousin a phone call to the FrenchEntrée Property team is a good place to start.